PRODUCT DESCRIPTION: Granules which are spread out over turf, mulch, dirt or rock beds where you want to stop all kinds of plant growth. This product is a true soil sterilizer and when used will effectively stop any plant from being able to grow. 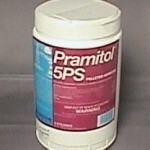 WHERE TO USE IT: Pine islands, driveways, roadways, fence rows and other landscapes where plant growth is not wanted. 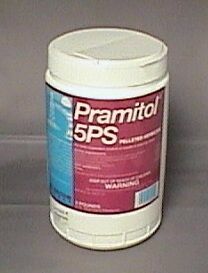 RATE OF APPLICATION: It will take .36 – .46 lbs of Pramitol to treat 100 feet effectively. Expect to use 152-200 lbs per acre. Treatments will last 6-12 months depending on soil type and the plants targeted.